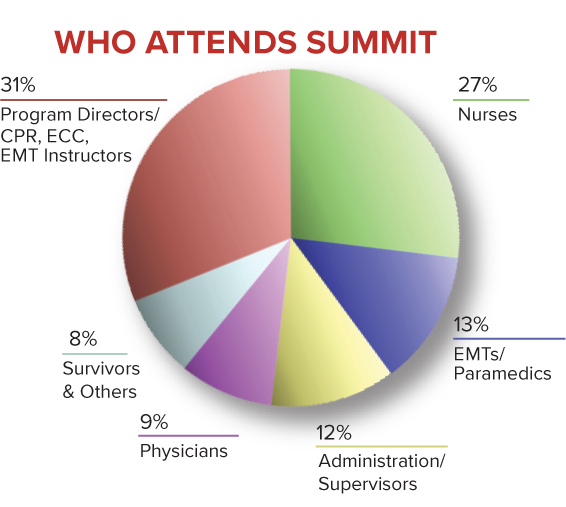 The Cardiac Arrest Survival Summit is the only multi-disciplinary conference of its kind, bringing together highly motivated resuscitation instructors and practitioners focused on the common goal of improving the practice of cardiac resuscitation in the pre-hospital environment. 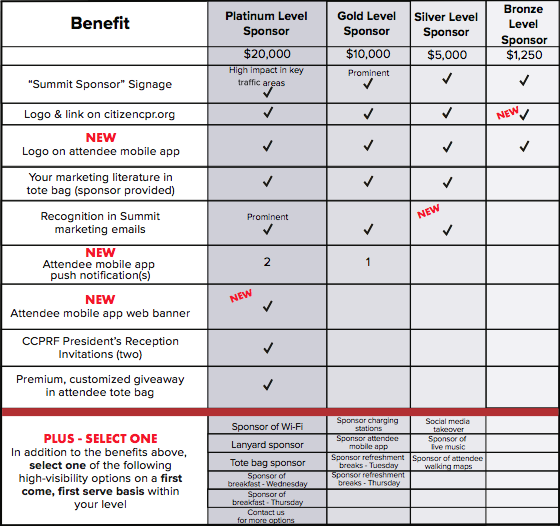 Summit offers many supporter packages to fit your organization’s goals. Whether it be to promote brand awareness or introduce a new product, Summit is the right place for you! Includes six complimentary full-meeting registrations, for use by exhibit staff only, and two complimentary exhibitor badges. Includes four complimentary full-meeting registrations, for use by exhibit staff only, and two complimentary exhibitor badges. Includes three complimentary full-meeting registrations, for use by exhibit staff only, and one complimentary exhibitor badge. Includes two complimentary full-meeting registrations, for use by exhibit staff only. Includes two complimentary exhibitor badges for exhibit staff only. For more information about becoming a Supporter, see the 2019 Exhibitor & Sponsor Prospectus. For questions, contact Arienne Hosseini, ahosseini@citizencpr.org or (913) 906-7026.